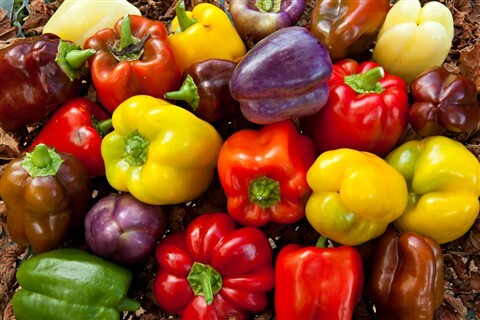 They contain antioxidants called carotenoids that may reduce inflammation, decrease cancer risk and protect cholesterol and fats from oxidative damage. One cup (149 grams) of chopped red pepper contains nine grams of carbs, three of which are fiber. Studies show broccoli may decrease insulin resistance in type 2 diabetics. It’s also thought to protect against several types of cancer, including prostate cancer. One cup (91 grams) of raw broccoli contains 6 grams of carbs, two of them fiber. One cup (180 grams) of cooked asparagus contains 8 grams of carbs, four of which are fiber. It’s also a good source of vitamins A, C and K.
Test-tube studies have found that asparagus may help stop the growth of several types of cancer, and studies in mice suggest it may help protect brain health and reduce anxiety. A one-cup (70-gram) serving of raw white mushrooms contains just 2 grams of carbs, 1 of which is fiber. What’s more, they’ve been shown to have strong anti-inflammatory properties. In a study of men with metabolic syndrome, eating 100 grams (3.5 ounces) of white mushrooms for 16 weeks led to significant improvements in antioxidant and anti-inflammatory markers. One cup (124 grams) of raw zucchini contains 4 grams of carbs, one of them fiber. It’s a good source of vitamin C, providing 35% of the RDI per serving. Researchers report that it can help prevent damage to DNA. It also protects heart health and may decrease the risk of common eye diseases like cataracts and macular degeneration. What’s more, it’s an excellent source of several vitamins and minerals. One cup (180 grams) of cooked spinach provides more than 10 times the RDI for vitamin K.
For example, one cup of cooked spinach contains 7 grams of carbs with 4 grams of fiber, whereas one cup of raw spinach contains 1 gram of carbs with almost 1 gram of fiber. A one-cup (150-gram) serving of chopped avocados has 13 grams of carbs, 10 of which are fiber. Avocados are also rich in oleic acid, a type of monounsaturated fat that has beneficial effects on health. Small studies have found that avocados can help lower LDL cholesterol and triglyceride levels. Although avocados are a fairly high-calorie food, they may be beneficial for weight management. In one study, overweight people who included half an avocado at lunch reported feeling fuller and had less desire to eat over the next five hours. One cup (100 grams) of raw cauliflower contains 5 grams of carbs, three of which are fiber. It’s also high in vitamin K and provides 77% of the RDI for vitamin C.
Like other cruciferous vegetables, it’s also associated with a reduced risk of heart disease and cancer. A one-cup (125-gram) serving of cooked green beans contains 10 grams of carbs, four of which are from fiber. They’re high in the green pigment known as chlorophyll, which animal studies suggest may help protect against cancer. In addition, they contain carotenoids, which are associated with improved brain function during aging. One cup (47 grams) of lettuce contains 2 grams of carbs, one of which is fiber. Folate helps decrease levels of homocysteine, a compound known to increase heart disease risk. In one study of 37 women, consuming foods high in folate for five weeks reduced homocysteine levels by 13%, compared to a low-folate diet. Studies have found that it may boost resistance to the common cold virus and decrease blood pressure. One clove (3 grams) of garlic contains 1 gram of carbs, part of which is fiber. These have been shown to lower blood pressure and may also help protect against heart disease, type 2 diabetes and other diseases. One cup (67 grams) of raw kale contains 7 grams of carbs, one of which comes from fiber. It also provides an impressive 206% of the RDI for vitamin A and 134% of the RDI for vitamin C.
A high intake of vitamin C has been shown to improve immune function and increase the skin’s ability to fight damaging free radicals, which can speed up the aging process. One cup (104 grams) of chopped cucumber contains 4 grams of carbs with less than 1 gram from fiber. Results from test-tube and animal studies suggest it has anti-cancer and anti-inflammatory properties and may protect brain health. A half-cup (78-gram) serving of cooked Brussels sprouts contains 6 grams of carbs, two of which are fiber. What’s more, controlled human studies suggest that eating Brussels sprouts may reduce risk factors for cancer, including colon cancer. A one-cup (101-gram) serving of chopped celery contains 3 grams of carbs, 2 of which are fiber. It’s a good source of vitamin K, providing 37% of the RDI. In addition, it contains luteolin, an antioxidant that shows potential for both preventing and helping to treat cancer. They’re also low in digestible carbs. One cup (149 grams) of cherry tomatoes contains 6 grams of carbs, two of which are fiber. Tomatoes are a good source of vitamins A, C and K. In addition, they’re high in potassium, which can help reduce blood pressure and decrease stroke risk. They’ve also been shown to strengthen the endothelial cells that line your arteries, and their high lycopene content may help prevent prostate cancer. Cooking tomatoes increases lycopene content, and adding fats such as olive oil during cooking has been shown to boost its absorption. One cup (116 grams) of raw sliced radishes contains 4 grams of carbs, two of which are fiber. Radishes are one of the Brassica vegetables, which have been shown to reduce the risk of breast cancer in postmenopausal women by modifying the way the body metabolizes estrogen. A half cup (58 grams) of sliced raw onions contains 6 grams of carbs, one of which is fiber. Onions are high in the antioxidant quercetin, which may lower blood pressure. One study of overweight and obese women with polycystic ovary syndrome (PCOS) found that red onion consumption reduced LDL cholesterol levels. A one-cup (99-gram) serving of chopped, cooked eggplant contains 8 grams of carbs, two of which are fiber. It’s not very high in most vitamins or minerals, but animal research suggests eggplant may help lower cholesterol and improve other markers of heart health. It also contains an antioxidant known as nasunin in the purple pigment of its skin. Researchers have reported that nasunin helps reduce free radicals and may protect brain health. As a cruciferous vegetable, it may help reduce the risk of certain cancers, including esophageal and stomach cancer. One cup (89 grams) of chopped raw cabbage contains 5 grams of carbs, three of which are fiber. However, 10 grams come from fiber, making it very low in digestible (net) carbs. A portion of the fiber is inulin, which acts as a prebiotic that feeds the healthy gut bacteria. What’s more, artichokes may protect heart health. In one study, when people with high cholesterol drank artichoke juice, they experienced a reduction in inflammatory markers and improvement in blood vessel function. Metabolism | What Is It?